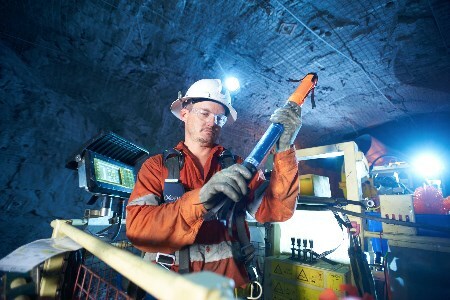 Orica, the world’s largest manufacturer of commercial explosives and innovative blasting systems, has announced the successful production trials of the premium WebGenTM 100 wireless electronic blasting system. WebGenTM 100, signals a step-change in in-hole initiation and decisive step on the path towards full automation of drill-and-blast operations in the future. The system provides for groups of in-hole primers to be wirelessly initiated by a firing command that communicates through rock, water and air. This removes constraints often imposed by the requirement of a physical connection to each primer in a blast. Two production trials have been executed recently to validate and prove the benefits of the technology. The first production blast took place at the Glencore operated Ernest Henry Mine (EHM), a large Sub Level Cave (SLC) operation in North West Queensland, Australia. During the trial, 30 rings were pre-charged with WebGenTM well in advance of the cave and then initiated from Mine Control on the surface. WebGenTM eliminated the need for mine site personnel to work near the brow to hook up the blasts, and also demonstrated that lost brows would not remain a production risk. The system was easily integrated into their current method of operation with no misfires or production delays. In a second production blasting trial at Goldcorp’s Musselwhite Mine in Northern Ontario, Canada, five temporary rib pillars were pre-charged using Orica’s WebGenTM primers. The main body of the ore panel was blasted and extracted first while the temporary rib pillars held back the waste rock backfill. The inaccessible ore pillars were then blasted. The introduction of this technology delivered reduced dilution, increased truck fill factors and improved overall productivity.